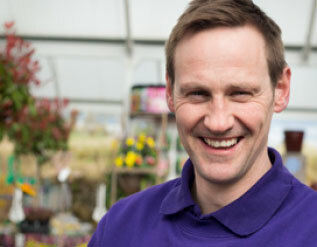 We are an independent family-owned group of five garden centres, based across Central Scotland. Our centres are packed full of garden inspiration, great gift ideas and tasty treats in our restaurants! Caulders was founded in 1999 by Colin and Mandy Barrie when they opened a small plant centre in Mugdock Country Park. Caulders have grown steadily and now have five excellent garden centres and restaurants. Caulders employ an excellent team of over 200 staff, who aim to deliver the best in both garden retail and catering. We know our customers have a huge choice of where to shop and where to eat nowadays, we continue to improve our business and aim to provide great products and offer excellent value for money. We appreciate every visit a customer makes to one of our centres. We added a beautiful conservatory area to our Erskine Restaurant to make the most of the views! Our brand new, custom built Garden House Restaurant opened at Cupar in March 2018 and is loved by both staff and customers alike! We now have 5 successful Garden Centres and Restaurants, and employ over 200 staff. Caulders are proud to be an independent family business! 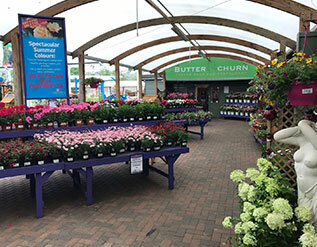 Caulders buy Cupar Garden Centre, and welcome it to the Caulders family! We add a new purpose-built covered area to our Mugdock Centre and extend the gift shop. The largest of the four centres, Caulders Erskine and the Vanishing Willow Restaurant opened in November 2014. Caulders Kirkintilloch’s gift shop was extended. Colin and Mandy opened a new, purpose-built garden centre in Newton Mearns, along with a 150-seater coffee shop. A 120 seater coffee shop was added to Caulders Mugdock. A coffee shop was built at Caulders Kirkintilloch, seating 120 people. The Caulder family grew, when Caulders Kirkintilloch was opened! The garden centre at Mugdock was expanded by adding on a gift shop. 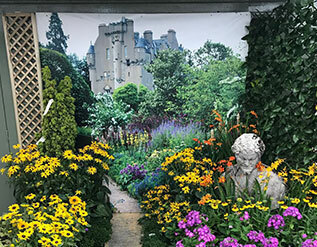 Husband and wife Colin and Mandy Barrie established the business by opening their first garden centre in Mugdock Country Park, with only 2 part time staff members.